I WOULD GIVE THIS TEN STARS IF I COULD !!! This anime is a masterpiece !!! There are no other words that can describe it !!! I first started watching this anime out of boredom one night and I couldn't stop watching it once I got into it. This anime is close to 40 years old and it stands the test of time. This anime was so good when the final credits rolled for the last episode I got emotional and clapped !!! 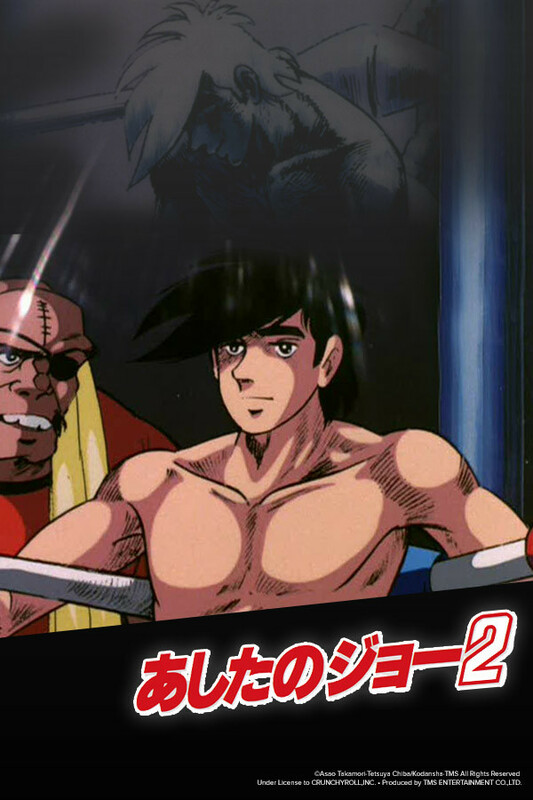 Champion Joe 2 has earned a spot in my all time favorite anime list alongside Hajime No Ippo and Fullmetal Alchemist Brotherhood. At the end of the day i'll say this, if you are reading these words do yourself a favor and check this out !!! I first watched this amazing anime back in 2006 or 2005 (I can't really recall). I was very pessimist about the anime. I thought I wouldn't enjoy this manga since I never had interest in boxing, but my friend insisted that I should give it a try, and I was glad that I did. Now I can say that this manga is at my top 10 favorite of all time. It is a true unique experience and super enjoyable to watch. This anime is not just a great boxing anime, it is a great drama as well. Characters are what makes this anime great. The hero, Joe is a unique person who doesn't box for fame. He isn't after money or anything like that. He boxes because he loves to do so. And he isn't the type of person who cares about what others think of him. In fact, he is jerk most of the time. But then you see the other side of Joe when he plays with kids and develop a strong bond with "them". Warning!!! Please read/watch Ashita no Joebefore starting this series. Always a Champion to me! This series is one I really enjoyed. They made the sport of boxing come off as very brutal and dangerous, which it is. The characters were well developed and kept me engaged with the story. There are many highs and lows as you will feel much emotion throughout your viewing of this one. I think that if you are a fan of boxing it is a must watch, if you like sports/competition anime it is a must watch as well. Last but not least if you like to follow the growth of a character in detail and be with them as they struggle then this one is for you as well. So, if you have some spare time and don't like the current anime season and need something to fill a gap while you manage your loss of whatever you WERE watching. Give Champion Joe 2 a chance. Joe Yabuki is a young man from the slums who recently came out of juvy where he met his rival Toru Rikkishi. Sadly, this season spoils the conclusion of said rivalry as the events are featured in its 1970's 1st season which should be watch first. This sequel continues where the original anime left off giving a slight recap of events as moves forward with the themes of the story. The many challenges Joe faces are the consequences for boxing & the permanent damage he delivers to his opponents along with Joe's own torment. Joe's life is full of grief, hope, & commitment to the sport he loves. This is where Joe grows into a man who takes responsibility for his past misdeeds for the sake of his rivals, friends & family. As glad as I am for Joe to be licensed fro streaming, I definitely recommend watching its 1st season for its very crucial to the story the same way as the 1st season of Hajime no Ippo is to its sequels. This season was animated in 1980 with supreme animation that is movie quality budget also with great storytelling. Don't miss this anime!!! Archetypes are a funny thing; people can often forget that archetypes are determined by they're place in history (including they're legacy). The characters in Ashita no Joe go beyond archetype - they're fully fledged, multi faceted personas that explore class distinctions in a way we rarely see anymore. To be perfectly honest, I've little affection for boxing. It's never been a sport that's sat well with me (part of such being that it's a sport). What attracted me to Ashita no Joe's characters are how people engage with business, culture, and how the human element can be commodified in a disturbingly easy manner. As easy as it can be for us to see now, imagine how harmful it was when said idea was burgeoning within culture. If you're a fan of Japanese culture & how the Japanese social consciousness relates to the world, or just want a piece of history, watch this show. The insights it provides on a meta-textual level are phenomenal. And 70s fashions will never go out of style. Publisher TMS Entertainment Co., Ltd.